Mantra: all day, all night, all day. The importance of crew (friends). Just keep walking, even when you are crying. Never believe that you are almost there. The build up and break down of ultra-racing. 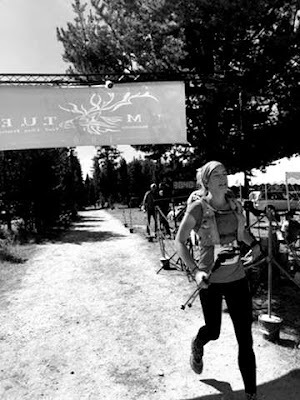 Embarking on a first-time 100-mile race, or any significant ultra-distance race, must take some combination of hubris and humility. One can’t be too cocky, thinking it is possible to sprint the whole thing (unless you are Jim Walmsley). Often an important strategy is to reel yourself in when you are feeling good. Humbleness keeps you in check, emphasizing the experience beyond the race. At the same time, though, there must be a part of every person who attempts a 100-miler that believes they can achieve this monumental task. Whether it be out of naivety or simple pride, there must be something in our core that convinces us that we are capable of pushing ourselves closer to our human limits. When I showed up to the start of the IMTUF 100 on September 15, 2018 there was a combination of fear for the unknown, excitement for adventure, and anticipation of the gamut of emotions and pain that I figured lay ahead. 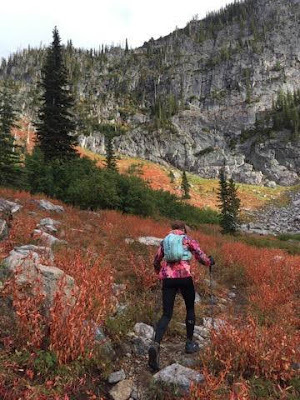 My training throughout the previous summer had been inconsistent, including a two-week hiatus after falling hard on my bear spray canister and bruising some ribs. However, I figured I had enough training miles under my belt to at least show up to the start line. It was crisp and cold, hinting at the fall colors that lay ahead. A stellar crew from Missoula lined up with me, including Jesse Carnes, John Fiore, Nate Bender, and Alex LeVan. We kept our puffy coats on until the last minute, and before I knew it the elk bugle was piercing through my chest, beckoning us into the dark. 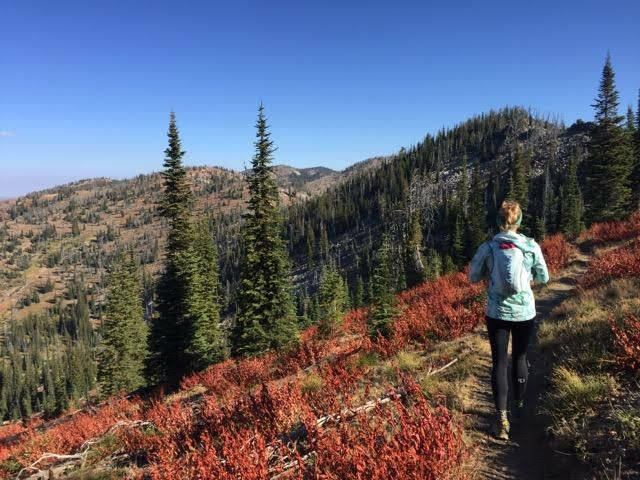 The first sixteen miles of the race had a gentle roll, and as the sun rose we were greeted with classic Idaho scenery of meandering streams, flaring yellow and red bushes, low-lying patches of valley fog, and steep-treed slopes that rose to granite mountain tops. The single track was soft, frequently reminding me and my legs that this is the best I would feel for the entire race. I did my best to keep thoughts of total mileage, pace, and place as far from my mind as possible. I knew that for me this was not a productive mental space. 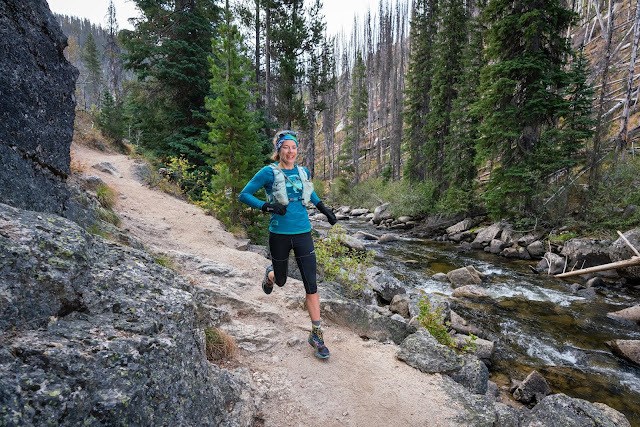 Any time I was tempted to care about such things I would distract my mind, and employ a newfound mantra: “all day, all night, all day.” It was not important for me to get wrapped up with my speed and how many miles I had in front of me. It was important for me to remember that I needed to keep a pace that would allow me to keep going for a very long time. The landscape was breathtaking, and after a stretch working up the canyon with Secesh Creek we were spit out into our first crewed aid station at Chinook Campground. In preparation for this race I had spoken with a handful of friends about their hundred mile experiences. Many spoke of their crew, and how much of a difference it made to have others there helping them. I figured that this must be true, but at the same time my only other frame of reference for ultra-ultra distances was the Plain 100k, in which I was not allowed any support, aid station or otherwise. This prior experience gave me the sense that a crew would be helpful, but not essential. While this may still be true to some extent, there was nothing that stood out to me more from this race experience than Billy Shears and The Beatles reinforcing that “you can get by with a little help from your friends.” And, in this case, it was A LOT of help from my friends. The running community in Missoula constantly amazes me, and trail running in general tends to bring people together rather than put them apart. I was fortunate to have some of the most rock-solid people on my list to ask for help, and with relatively short notice. 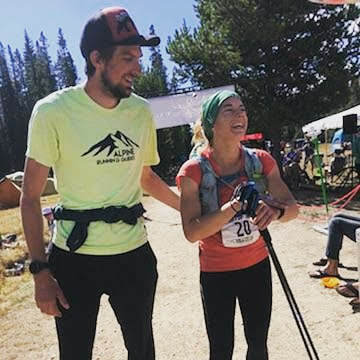 I had several good conversations with one of my pacers, Jenny, one of which noted how 100-mile races force you to ask for help, something we are not always accustomed to doing. To have your friends make your well-being their absolute top priority, even for a short amount of time, is a remarkable experience. 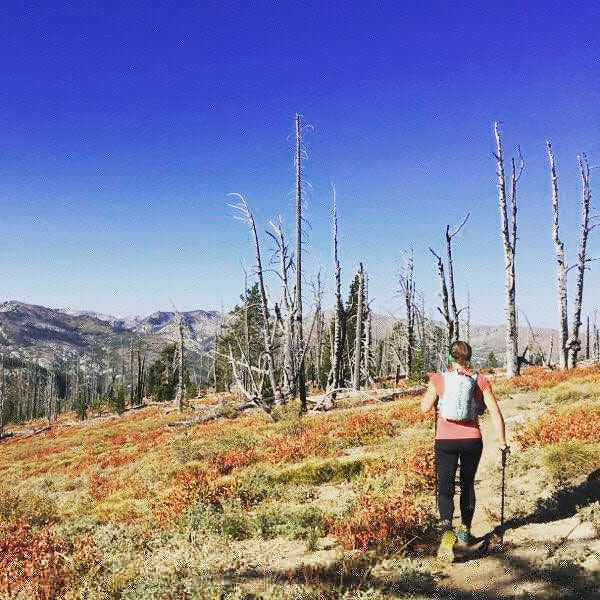 There was not a moment in each aid station or out on the trail that my crew and pacers were not anticipating my needs, watching the food clock for me, encouraging me to take care of myself, and putting their needs second to mine. It will be a long time before I forget the best and thickest hot chocolate I have ever tasted made by Mike Foote at mile 88. It will also be a long time before I forget the kind encouragement that Jenny gave me every step of the way, promising that I was making good time even when I had tears. And, it will probably take the longest amount of time for me to forget the absolute misery and necessity of Forrest’s voice reminding me to eat every 20 minutes for ten hours straight throughout the night. Taking care of ourselves through long races is a little like life: exceptional and not easy. We need our people to help us out at both ends of the spectrum. During the first crewed aid station at Chinook I was exposed to the incredible efficiency and steady support my crew would show throughout the rest of the race. They greeted me with hand-written signs promising me that I was “almost there,” and it was “all downhill from here” (this was 16 miles into the race). They had all of my supplies laid out, and got me in and out of the aid station quickly. Other crew members from Missoula jumped in to help, including Alison, who was there consistently throughout the race offering me her clothes, her food, and her guidance. This process was repeated at each aid station they could access during the race, and though my efficiency waned they were always on top of it. IMTUF follows a magnificent route through the Payette National Forest. Throughout the race I was continually in awe of the scenery. Maybe it was the lack of energy to my brain, but I frequently would look around and feel that I could be in Europe. The high granite walls and alpine lakes were top-notch. Much of the course was runnable (though I often was not running), but the true climbs were steep and grueling. The caliber of race organization is also on par with some of the best. Aid stations hosted freshly made food, including pancakes, pizza, and pulled pork. 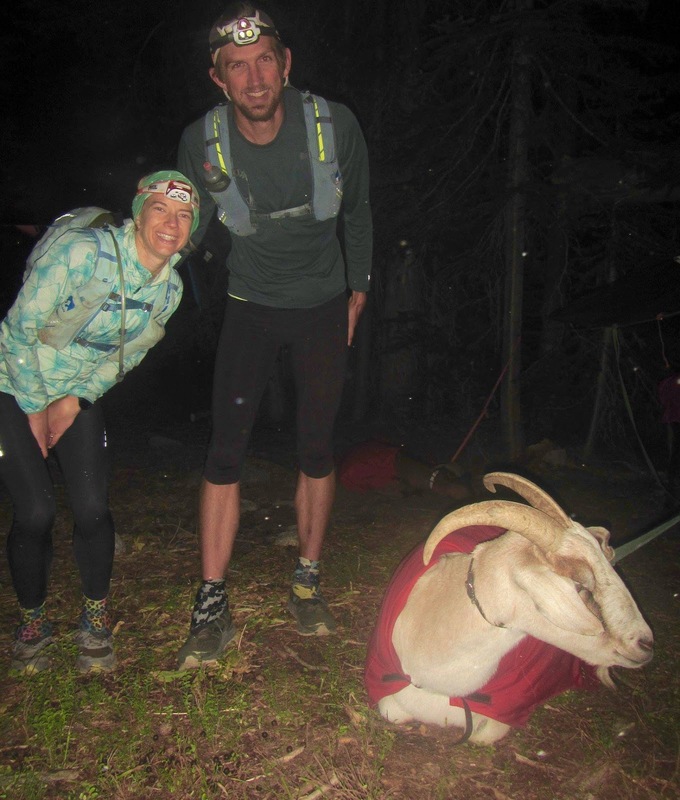 In the middle of the night we visited an aid station packed in by goats, where kind faces required that we take a picture. Course markings appeared often, and were highly visible throughout the night. Many people have noted that much of a 100-mile finish is mental. While I would have appreciated some better training under my belt prior to this race, I did know that pushing through discomfort was familiar territory. From hiking the CDT with Forrest Boughner, I knew how important it is to keep walking, even if I am crying, and how much time can be saved by simply not stopping for every beck and call. The number of things that can be accomplished while walking is important to ultra-endurance events. We can eat, change clothes, put on body glide, cry, and while I am less adept to it than my male counterparts, I have heard of mild success in the attempt to empty our bladders while moving. Just how the course wound around has become somewhat fuzzy at this point, but I have fleeting memories of steep and magnificent climbs up to Diamond Rock, Snowslide Lake, and Fall Creek. Flowing switchbacks with views of a 2,000’ descent into Upper Payette Lake, and granite peaks dropping to deep valleys around Duck Lake were breathtaking. Though we missed out on some of the scenery renowned to the course thanks to darkness, pushing through the night was not as bad as I was expecting it to be. This was all thanks to my trusty pacer and sidekick for life, Forrest Boughner. He kept me distracted with the occasional pump-up song, good stories and bad jokes, and validated me when I broke down at 4 a.m. on the 5 mile road stretch from hell descending back toward Upper Payette Lake. As I approached the end of the race, it was my people who kept me going. Jenny had the good fortune to push me through the last 15 miles. Highs and lows became more condensed and bipolar at this point in the race. 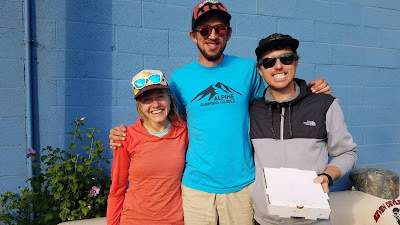 John and Alison from Missoula surprised us with well wishes at the last aid station at Cloochman Saddle, where I was feeling happy. But, my foot had been bothering me for the last 35 miles, and running was not as readily an option as I would have hoped. Breathing became more belabored and my ribs were simply fatigued. It became even more important than at any other time during the race to never believe that I was almost there. The temptation to think that I would be done soon would be soul-crushing should it turn out to not be true. While many varying distances have been touted for this race, everything from 102.9 to 108, I tried to not get too anticipatory about the finish line until it was truly in sight. This became harder to do as we saw more and more people, promising that we were varying distances from the finish. When Jenny and I saw Forrest and Mike walking up the road to meet us, I felt like I could finally believe that I would finish. I got excited, I was ready to be done, and then Forrest assured me I still had another 1.5 miles. (Never believe you are almost there.) The finish line eventually came into sight. I learned from my trusty crew that I was finishing as the 5th place female. I shed a few more tears of relief. I crossed the finish line and heard the announcer say that I had just finished my first 100 mile race, and I was given a belt buckle by the race director, Jeremy. I sat down, and Mike assured me that now I would have a complete mental and physical breakdown. At that point I let out some rather loud unanticipated farts. We soaked in the hot springs. I laid down and couldn’t get back up very easily. And, just like that, it was over. More so than any other race I have done, there was an incredible build up to this experience. Eight months of playing the long game and questioning whether or not I would be ready culminated into one weekend. After recovering from my rib injury and deciding to move forward with the race, every day was intentional. What I ate, drank, and how much I slept took extra priority, and even though I was scared out of my wits in the weeks leading up to it there was still a sense of greater purpose to take care of myself. Just as with any other big life event, there was a build up. And now, after the race is over, and despite my appreciation for the ability to finish and do so relatively well in the field of the day, there is a let down. For me, this is the crux of running. It is addictive. It is one of the things that keeps me going, gives me an outlet, and my hours spent outside are what help me feel connected to this world. But, it is also finicky, fraught with overuse injuries, and a reminder that I always want more. It forces me to meet me where I am. One of my professors in school has pointed out that running is often an emotional outlet, and with this we make emotional decisions about it. I know that there is still much to look forward to and I will continue to seek out other races that will be just as much if not more rewarding in my future. But, within this cycle build up and then let down, I am reminded just how much I rely on running for mental clarity, physical health, and personal identity. In these weeks following IMTUF, I will focus on recovery and rest. Prior to this experience I simply could not fathom that the human body was capable of covering this abstract distance without breaking. I knew that people had done it, but it just seemed so extreme. It still does seem extreme, but also possible. Next, I will take care of myself with a different intention: to heal and re-energize. 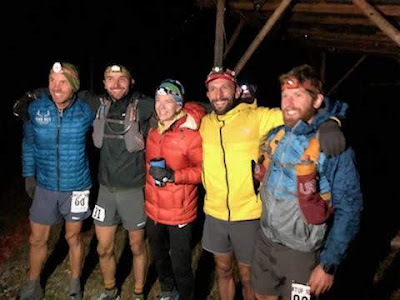 This will be possible with frequent doses of Big Dipper Ice Cream, the support of the Big Dipper Running Team, and the Missoula running community. And, of course, with some help from my friends. SHOOKS! (I know I know, your name has changed...but I couldn't help myself!) What an incredible journey!! I felt like I was right there with you cheering you on along with a yearning to come visit the beauty of Montana and see you!